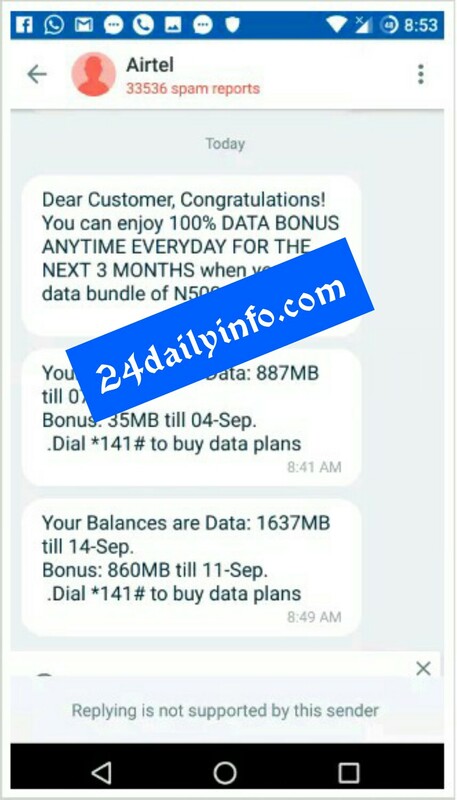 smartCONNECT is Airtel's default bonus plan for prepaid customers which offers 100% instant bonus on every data bundle plus 8 times bonus on every recharge. Just buy a new Airtel SIM Card. Recharge to start enjoying smartCONNECT bonuses. 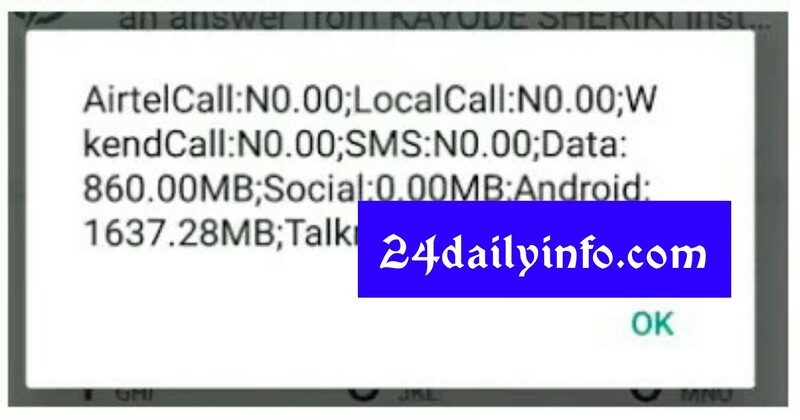 Applicable for 90 days on all purchases of data bundles below N5,000. the beginning of this month from our network providers, starting from 9Mobile MoreCliq that offers 4.5GB for N500 and 1.5GB for N200, 125% Data Bonus Through Glo Oga Sim, MTN mPulse that Offers 1.2GB for Just N150 and 350MB for N50 and last but not the least, MTN free 500MB Data via MyMTN App . which will enable any subscribers to activate 100% data bonus! 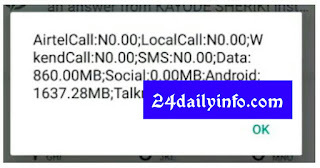 N1000 (instead of 1.5GB ), 6GB for N1,500 (instead of 3GB), 7GB for N2,000 (instead of 3.5GB ) etc. 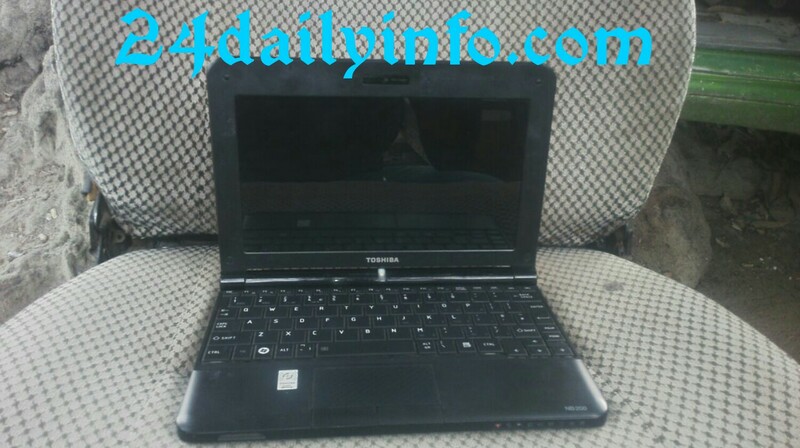 confirmed it actually work and the activation process is very simple! Simply go to your text message menu, SMS Get to 141. Once done, you'll receive a success message and the Airtel 100% data bonus will be active on your line for the next 3 months. more on the amount you recharge. times value (bonus) on all airtime purchase. used to call all networks in Nigeria. package, when you activate SmartRecharge. 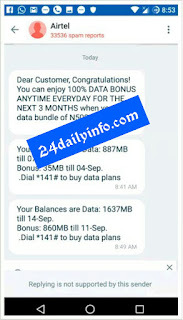 ==> ₦200 recharge gives ₦1000 for calls and ₦1000 for data. for data plus extra ₦3000 for data. for data plus extra ₦7500 for data. From the above examples, the more the recharge, the more the voice and data bonuses you get. It's easy and simple. Just recharge your line using *220*rechargePIN# and your bonus will be given to you instantly. not based on SIM eligibility as it is available for all Airtel users on the network. 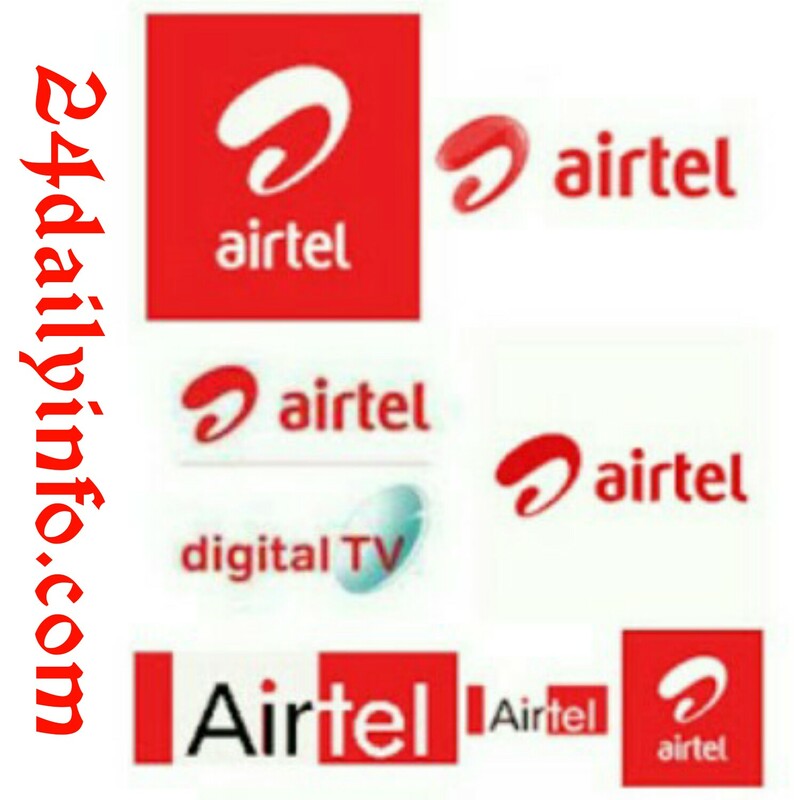 YouTube Flex is the latest data package from Airtel Nigeria. As it is titled, the plan is mainly for streaming videos on the YouTube. The Airtel YouTube Flex comes in two packages: Weekly and Monthly plan. The plan is designed to work for YouTube streaming only. Now the question is, how can I use the data for accessing other websites? Just don't worry, we have a means for you, thanks to VPN tunnel apps, most especially, the Psiphon modded versions. To Activate Airtel YouTube Flex Data. Simply dial *141*4# and select from the pop up option on your screen. Select 1 to activate the Weekly plan of 150MB for #100. Select 2 to activate the Monthly plan of 500MB for #200. Now that you have activated the data package then you will be granted access to stream YouTube videos. NOTE: This is not a huge data which you can use to stream on YouTube the way you do. 500MB may not even enough to watch a film on YouTube, since it's had enough validity period, I suggest you use it judiciously like browsing and chatting, that we really save the data.To achieve this, you need Psiphon VPN. Once you have downloaded any of the aforementioned VPN, apply the below settings. Set your phone APN to the default. »»» Select save and click on“tunnel whole device”. »»» Region: select, "Japan or Netherlands" Go back to your Psiphon Home page and Click on Start. It will take a few seconds to connect. After it gets connected then you can visit any website on any browser. If you enjoyed this post and wish to be informed whenever anew post is published, then make sure you join ourFacebook Page or Twitter. 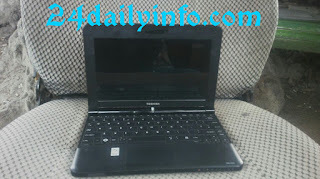 PC USERS: DOWNLOAD SIMPLE SERVER VPN HANDLER CLICK HERE. HIT Connect and Enjoy Free Surfing.